Explore Nepal tour gives you an opportunity to explore three different regions of the country, varying from the cultural hub teemed with fascinating ancient building like Kathmandu, the breathtaking scenery of Annapurna Range like Pokhara, and the vast, fertile forest like Chitwan National Park in Terai region. 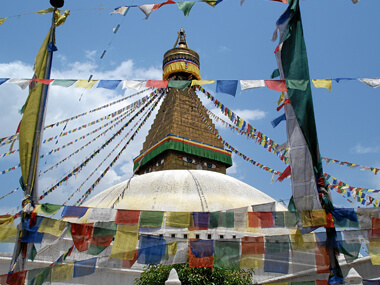 This remarkable trip will make you realize that Nepal has much to offer. The Chitwan has had a long history of conservation. For many years it was the Royal hunting grounds for the Kings and dignitaries of Nepal and therefore was not hunted by the general public. It did however become a favorite spot for big game safari hunters in the late nineteenth and early to mid-twentieth centuries. This was coupled with a surge in local human populations following the development of anti-malaria medicines in the mid-twentieth century. The long-term effect was a drastic decrease in jungle habitat and animal populations in the Chitwan valley as jungles were converted to farmland and big game were hunted and poached to dangerously low numbers. After the breakfast in the morning,we go to Nagarkot via route Saku. We get off at Saku and then we have to walk 3/4 hours village tour and we find different types life style. After reaching at Nagarkot, we will stay overnight there. Next day early in the morning, we will have an ample opportunity to observe fascinating mountain views (7,135ft) which includes Mt. Manaslu, Ganesh Himal and many others. 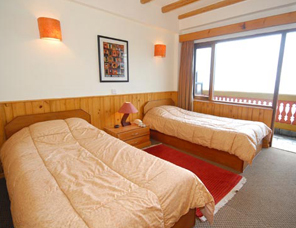 After the breakfast in the morning, we leave hotel for Dhulikhel where you could observe breathtaking view of the Himalayan panorama, simple and traditional village life of the countryside, and a romantic peaceful treat. We make 4/5 hours village walk from Nagarkot to Dhulikhel. After Banepa, if you are tired, you can go to Dhulikhel by bus and it doesn't take more than 5 minutes. 6:00 - Wake up call. Early morning wake up call, tea/coffee and nature walk, after Breakfast drive (6hrs drive) from Chitwan to Pokhara. One gets to view good scenery along the drive. Lunch will be served at the Local restaurant on the way to Pokhara. Finally,we arrive at the most beautiful city of Mountains and lakes. Pokhara is Nepal's most beautiful natural valley, which is also the most popular tourist destination. The Annapurna, Machhapuchere (Fishtail) and uncountable Mountains always stand high welcoming every visitor with a smile. you will be served with welcome drinks upon your arrival in Bandipur hotel. After lunch, we go to visit Bandipur Village which is best known as an ancient village. You will have a beautiful view of sunrise and sunset in the morning and evening respectively. After having breakfast, we drive back to Kathmandu for four hours, and we stay overnight at Patan. When you reach at Patan, you are free to visit surrounding yourself. After the breakfast in Bhaktapur, our vehicle will come there to pick you up to drop in Thamel.